“Entha Jhonsa Kallilley” song from the movie “UNCLE” singing by megastar Mamootty. Song gets positive response from everywhere. Music direction done by Bijipal. Film Hit on Theaters on Friday, 27th April 2018. Song Published by mammootty through his facebook page. This song is going to be in hitchart of 2018. Mammootty and Asha Sharath who had stared together in movies such as Varsham,Pullikkaran stara, will once again play a couple in role Gireesh Damodhar’s film Uncle. 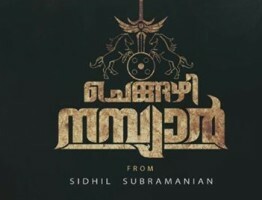 This movie will be scripted by actor-directer Joy Mathew is touched to be a social drama and will revolve around a family.produced by Saritha Ann Thomas, Sajal Sebastian.